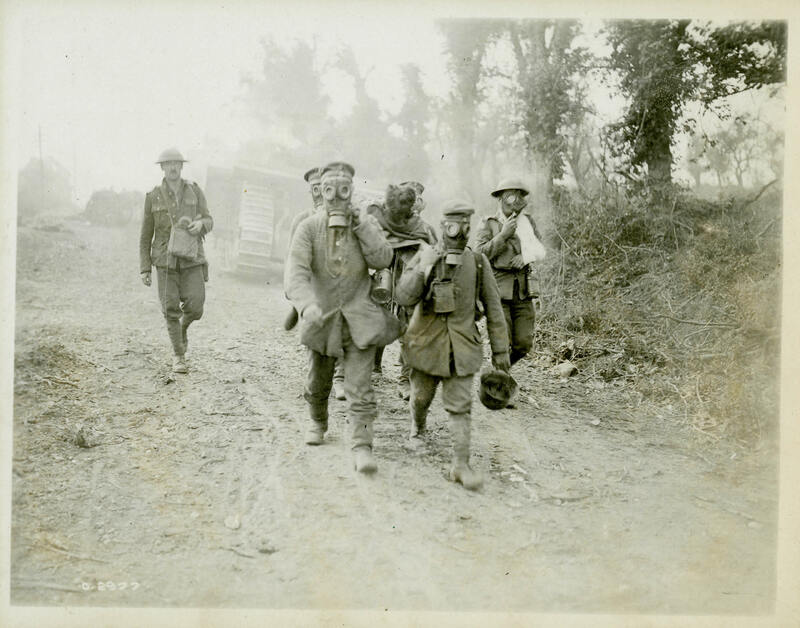 Prisoners of war often carried the wounded. In this photo, taken during the Battle of Amiens in 1918, both the German prisoners and the Canadian wounded wear gas masks. Gas warfare became increasingly common and more dangerous as the war progressed. Wounded soldiers, often weak or unconscious, were especially vulnerable because they could not don their respirators.